Breaking Bad was a journey. It wasn’t an exploration of the drug trade or those within it so much as it was a chronicle of corruption. Watching the pilot, you wouldn’t expect Bryan Cranston’s Walter White to evolve in the drastic, violent ways he does, both behaviorally and physically. Creator Vince Gilligan took a chance on the actor, who, at the time, was best known as the doofy dad from sanitized Fox sitcom Malcolm In the Middle. Not everyone would’ve made such a gamble; just ask Judd Apatow. Yesterday, actor Seth Rogen spent the day celebrating the 10th anniversary of his stoner comedy Pineapple Express by dropping factoids on Twitter, and Apatow, who produced the movie, offered up one of his own when he revealed that Cranston was nearly cast as the violent drug lord memorably played by Gary Cole. 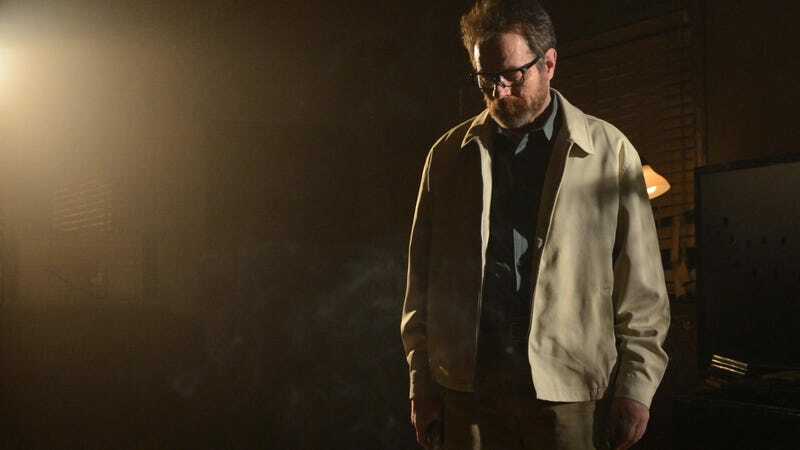 You can’t blame him; it’s the fact that, no, Cranston doesn’t seem scary enough to play a drug lord that makes him so scary once he becomes “the one who knocks.” But, again, it’s that journey that matters; there’s a chance audiences wouldn’t have bought him as a bloodthirsty smack peddler if, as in Pineapple Express, that’s who he is from the get-go. Also, Cole is great in that flick. With that in mind, let us all now imagine a version of Breaking Bad starring Cole.